In May our Gallery at The Falls will exhibit “Working with Wood and Water,” a solo show of woodblock prints by Matt Brown. 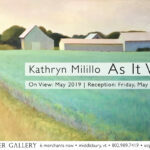 Working in the traditional Japanese hanga method – the very style that inspired and influenced the Impressionist painters of the late 19th century – Brown creates lyrical interpretations of landscapes. “Working with Wood and Water” will offer us a window into how he develops his art and the craftwork behind his prints. 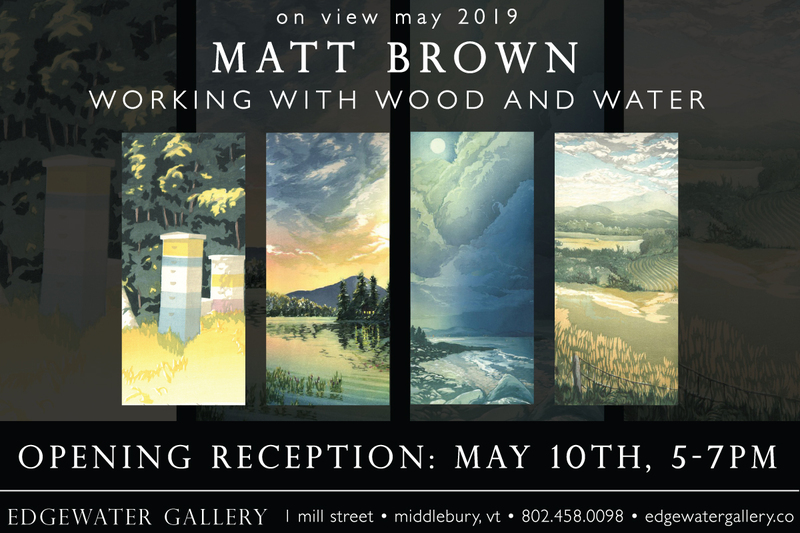 The exhibit will include examples of prints Brown has made over the past 20 years, juxtaposed with new work, including pieces inspired by his time spent in the Middlebury area. Having recently acquired a 180 year-old house in nearby New Haven, Brown has fallen in love with life in the Champlain Valley. This exhibit will also be an opportunity for Brown to celebrate the impact of this new home on his relationship with his artwork. To view Brown’s available work, please click here.